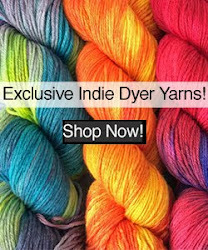 Our first collection of limited edition colors on our limited edition Big Bijou Bliss base did so well that we scared up some more skeins for the folks at MJ Yarns to dye! We took the Big Bijou Bliss II colors to Rhinebeck earlier this month, and will have some skeins in our booth at SAFF this Halloween weekend - you can also order BBBII here in our online store! 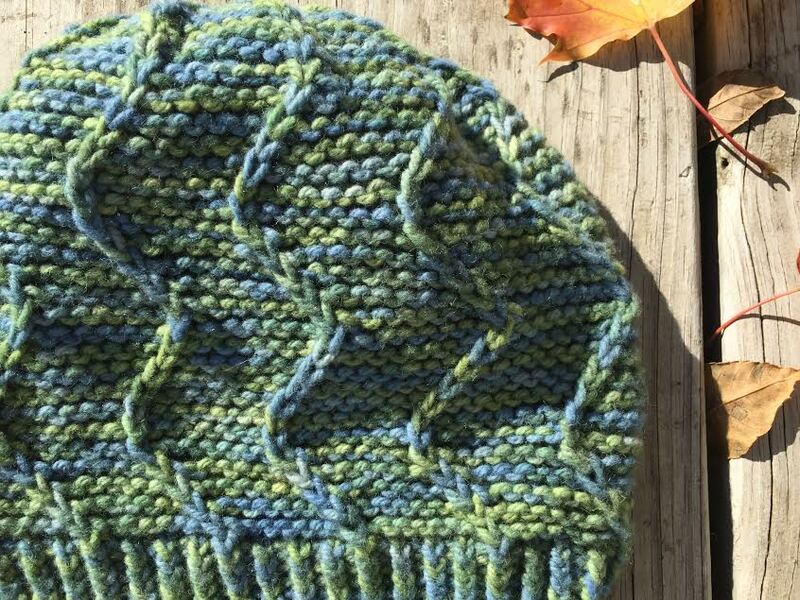 One of our blogger friends, Knitting Sarah, shared a hat project knit with Big Bijou Bliss, and we loved it so much, we asked her to write another guest post to share her thoughts on working with this very special yarn. We hope you enjoy her post below, and be sure to check out her blog at knittingsarah.com! Big Bijou Bliss II, from L-R: PTX, Peacock, Fire Dragon, Mystery & Joseph II. 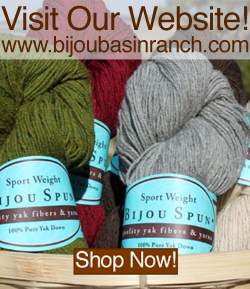 When I think of Bijou Basin Ranch, I automatically recall the first skeins of Bijou Bliss I purchased. The incomparable softness of the sport weight 50/50 yak/cormo blend captured my knitter’s heart and imagination at first touch. The mitts I knit with them are so warm & cozy that I literally look forward to wearing them every day. This fall my mind was blown once again when I discovered that the amazing folks at Bijou Basin Ranch had taken this classic blend and beefed it up for a limited edition worsted weight yarn. I knew I had to get my hands on this new yarn as soon as possible. Big Bijou Bliss is made with that same Bijou Bliss 50/50 yak/cormo blend, but adds a bit more twist. It’s just enough twist, too – enough to allow for the creation of an excellent quality, durable worsted weight, but not so much as to detract from the unparalleled softness that we know and love in the Bijou Bliss family. In your hands, quite frankly, it is a treat. The added twist makes all the allure of this yarn slightly more understated than its sport weight counterpart, but that signature hand and warmth are there. Trust me, they’re there. And it packs a wallop of decadence while you’re knitting (and when you get to wear it, too). It’s such a joy to knit, in fact, that once I started knitting with it, I couldn’t put it down! 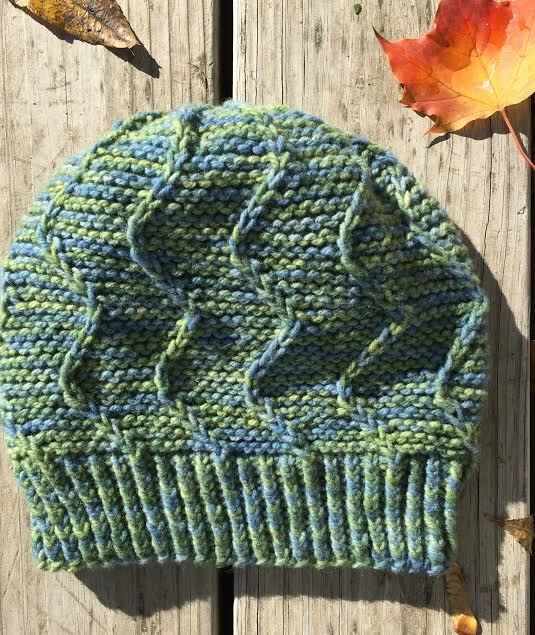 I chose to knit a hat with my special skein of Big Bijou Bliss and it’s fair to say that I was directly influenced by the beautiful hand-dyed colors available in this blend. MJ Yarns is the skillful dyer behind the limited edition Big Bijou Bliss colorways and I’ll be honest – I think they’re all equally gorgeous. With a lot of help from friends, I settled on the Lakeside colorway, but really regardless of your preferences there is a colorway for everyone in this lot. As I got down to the business of searching patterns, I found one called the Weather the Weather Hat by Megan Williams of Stockinette Zombies. The wavy lines reminded me of the endless series of waves that make their way toward the shore when you’re sitting… you guessed it, lakeside. And a project was born. As I mentioned, once I started this project I barely put my needles down to sleep. The knitting was just that good. I knew before I was finished with the ribbing that it was going to be phenomenal. The way the colors were distributed across the yarn, the way the Big Bijou Bliss so elegantly displayed the stitches – it was one of those projects that just made me feel like I’d hit the jackpot. 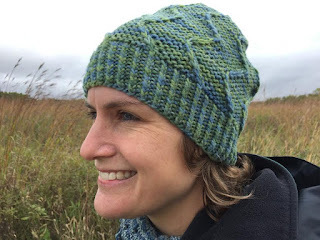 It was the kind of project you don’t want to finish because it would be you’d have to stop knitting it, but at the same time you can’t stop yourself from hurdling toward the end of it. I literally knit up this hat in less than twenty-four hours. Seriously, it was just that good. A few days later, I had my Big Bijou Bliss Weather the Weather hat in my pack on the trail with my family. I’d brought it to snap some photos of it and shortly after I’d done just that it started to drizzle. Where I live in Wisconsin, in late September a light drizzle can chill you down to the bone pretty quickly. 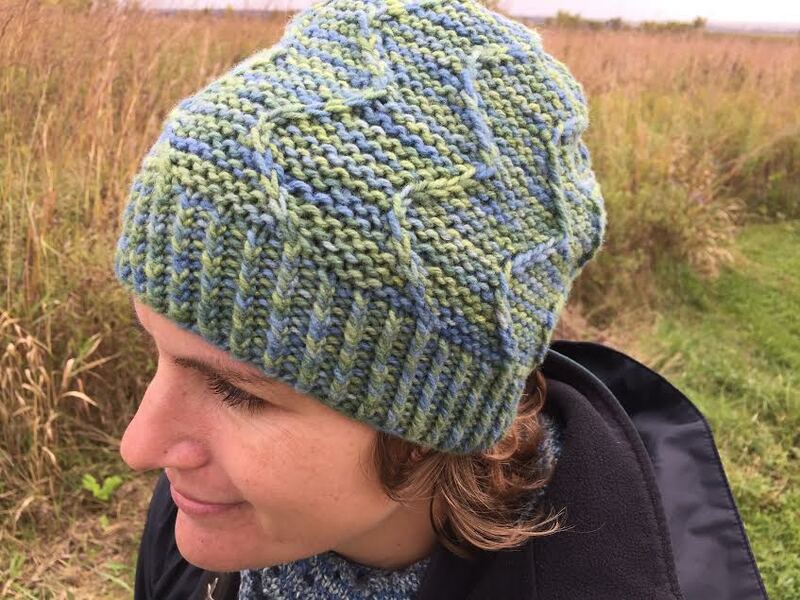 I grabbed my new hat and – you guessed it – I weathered the weather, Big Bijou Bliss style. I was as cozy as they come and finished out our hike with a smile on my face, thankful for the big beautiful yak & cormo fibers -not to mention the crew at Bijou Basin Ranch that made them into yarn -- that kept me warm.